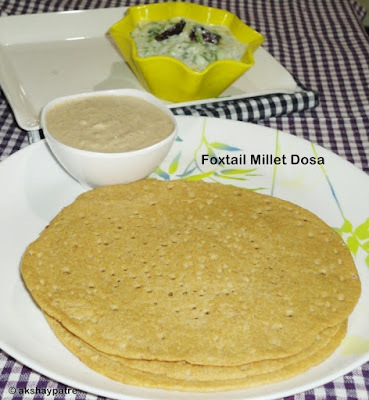 Foxtail millet dosa recipe - It is my pleasure to introduce you, a very healthy dosa recipe made with foxtail millet and split black gram lentils. This dosa is usually served as a breakfast dish, but it can also be had for lunch, dinner and is easy to pack in the lunch box. Like rice dosa, the dosa was crispy, delicious and goes well with coconut chutney and sambar. 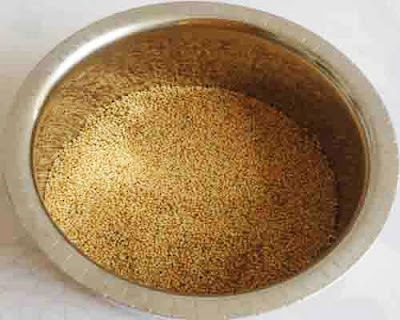 Many people do not know about the foxtail millet. There is a misconception that foxtail millet and quinoa are same. To clear your doubt, I have to say that these two are entirely different cereals. Foxtail millet has harder cover and it takes longer time to cook. This millet can be a substitute to rice while making dosa, idli, uttapa, khichdi and pulao. 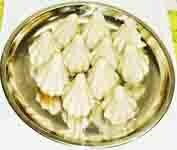 This is called as navane in kannada, rala in marathi and kangni in hindi. It is a diabetic friendly cereal. The great advantage of eating foxtail millet is that it is useful in reducing weight as it contains less carbohydrates and lots of fiber. 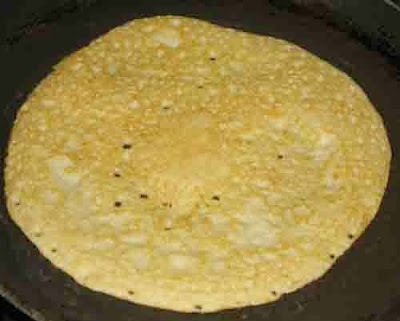 A delicious dosa prepared with foxtail millet and split black gram lentils. This is one of the healthy breakfast dishes to serve. Handpick the foxtail millet. Rinse them gently and drain water carefully. 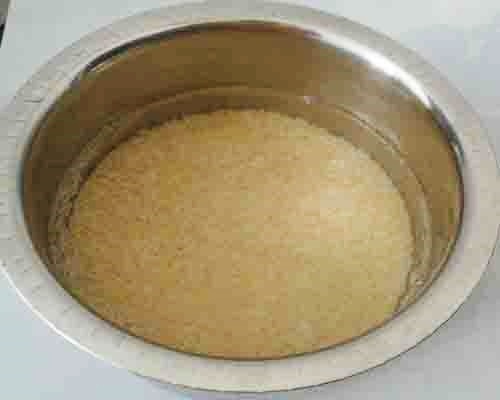 Foxtail millet is very tiny, so to prevent it from flowing, you can use a thin strainer to drain water. Add sufficient water to the millet. Add methi seeds and soak for 6-7 hours. Rinse the split black gram lentils for 3-4 times. Soak with sufficient water and set aside for 5 hours. 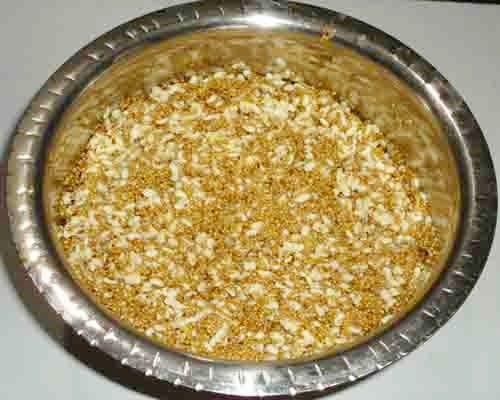 Drain water and combine the urad dal and millet. Grind it to a smooth paste adding sufficient water. Keep it aside for 6-7 hours. This batter doesn't ferment like rice and urad dal batter. While making dosa, add water and make a pouring consistency dosa batter. Add salt and mix. Heat a pan or tawa and apply oil on it. 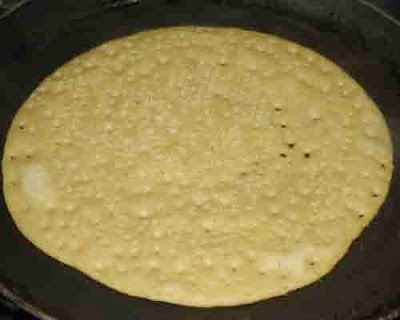 Pour a ladleful of batter and spread it to a round dosa. Cover with lid and cook till the base become firm and it turns into light golden brown in colour. Flip and cook from another side for a minute. 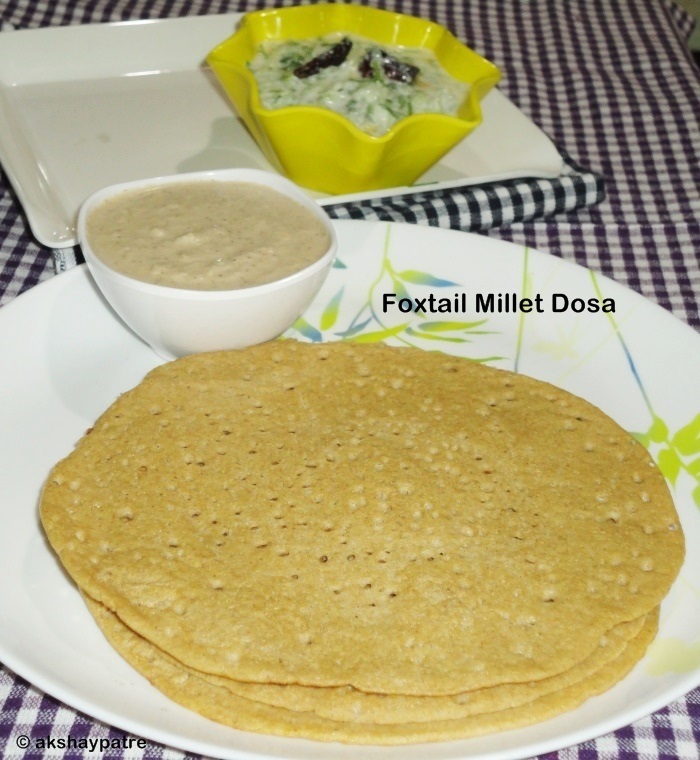 Transfer the foxtail millet dosa to a serving plate and serve with choice of your side dish. 1. Hand pick the foxtail millet and put them in a large vessel. 2. Rinse with sufficient water. Add fenugreek seeds and soak for 6-7 hours. 3. Rinse the split black gram lentils for 3-4 times. Soak with sufficient water and set aside for 5 hours. 4. Drain water and combine the urad dal and millet. 5. Grind it to a smooth paste adding sufficient water. Keep it aside for 6-7 hours. Add water and make a pouring consistency batter. Add salt and mix. 6. Heat a pan or tawa and apply oil on it. 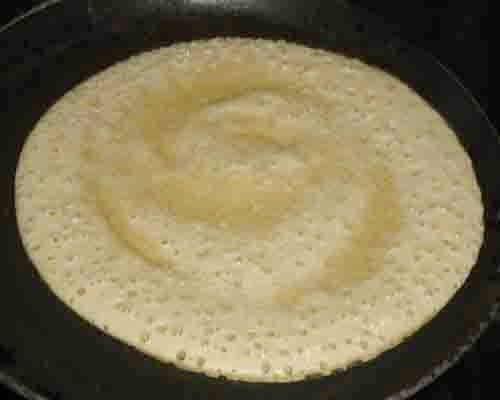 Pour a ladleful of batter and spread it to a round dosa. 7. 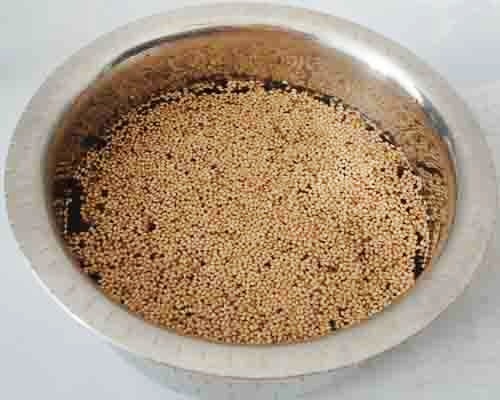 Cover with lid and cook till the base and surface become firm and dosa turns into light golden brown in colour. 8. Flip and cook from another side for a minute. 9. 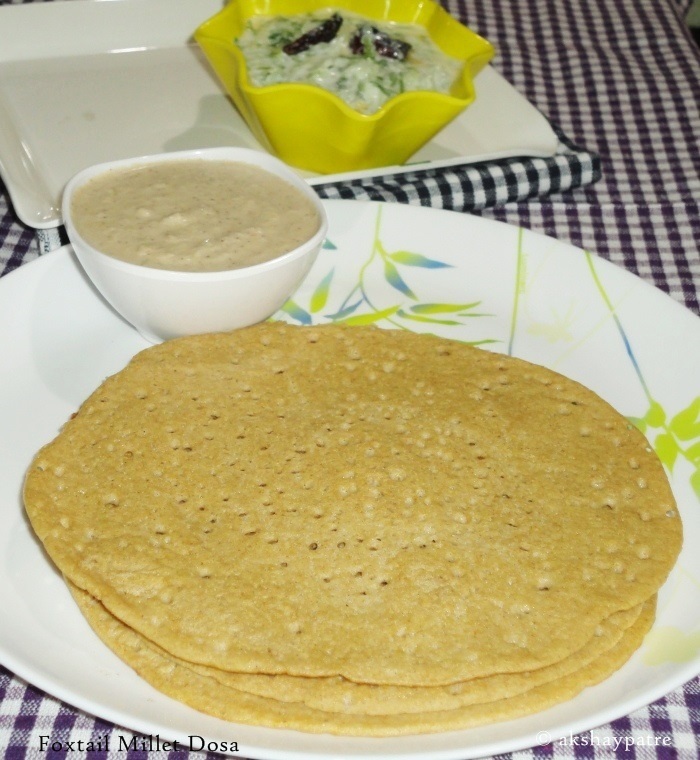 Transfer the foxmillet dosa to a serving plate and serve with choice of your side dish. It goes well with coconut chutney and sambar.